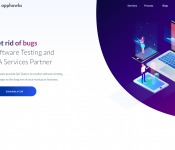 FleXasoft is a Redmond, Washington based software consulting firm specializing in Software Development and Quality Assurance Testing. We are a team of skilled and certified Software Design Engineers and Software Test Engineers with an excellent track record of providing services to our clients primarily in the Seattle area. Since we are a team of veterans from Seattle’s major technology corporations; we expertise in multiple technologies, platforms and standards. Our QA specialists bring a vast and an expanded talent to meet clients’ needs in every industry from information technology, healthcare, food and drug to clothing and retail industries. Our experience in domains embraces areas such as Websites, Complex Internet Applications, Mobile Applications and Client-Server Software. 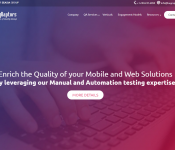 We commit and deliver the best of Software Development and Quality Assurance Testing services to bring substantial savings and highest quality when compared to our competitors and offshore firms. We have achieved this, based on our extensive practices and knowledge gathered over many years of our experience, thus; leading to a superior team of brilliant IT professionals, matured processes, seamless communication methodologies, sound project management capabilities and world class infrastructure. We integrate experienced, knowledgeable resources with various technologies to ensure high quality, low-cost products and services. Our consultants are highly trained, experienced professionals that serve as a valuable asset to any company, they become a part of.